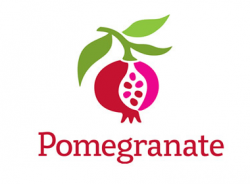 Pomegranate is a premier kosher supermarket with a forward-thinking approach. With a dedication to homemade foods and honest ingredients, we offer the largest selection of freshly prepared kosher foods in the country. Since its Grand Opening on August 12, 2008, Pomegranate has been winning over customers from throughout the tri-state area – and far beyond. The 20,000 sq. ft. stand-alone store, based in Midwood, Brooklyn, has also garnered sterling accolades and rave reviews from such publication as The Wall Street Journal, The New York Times and The Daily News. Prestigious industry publications such as Progressive Grocer and Saveur have dubbed us “Brooklyn’s premiere kosher food market” and the “Whole Foods of Kosher grocery”. We have built a customer-centric environment that feels very warm and welcoming, and are very focused on a shopping experience that makes grocery shopping enjoyable. We are seeking a Chief Operating Officer (COO) to oversee planning and all the Company operations and projects. This is a newly created role. The COO will be responsible for creating operational strategies focused on increasing profitability and the long term continued success of Pomegranate, as well as creating company-wide policies with an eye on boosting productivity. They will actively participate in corporate efforts to increase brand loyalty. The COO will work closely with the Finance Team to create transparency in expenses and financial reports. The COO will partner with Marketing to understand current efforts, strategize, and help launch new initiatives and measure their effectiveness. Partnering with HR, they will add value in helping to develop or guide internal training programs for departments, new products or services. The COO will report into the Founder and oversee a Team of over 200 employees. A bachelor’s degree in business administration, management, finance, or a related field is needed for this position. A Masters is preferred and leadership certifications are a plus. 10+ years in an Operational management position is required, preferably coming out of Retail. We will not review anyone without a minimum of 15 years of work experience and a proven track record of leadership success.